With the trees and flowers blooming, the weather clear and sunny, the sky so blue and promising, it is also quite the perfect time to be planning our weddings for the spring and summer seasons. Of course, those events of a lifetime would have been planned a year or 2 or more in advance, but now you get to pick your makeup and hair designs, as well as the products to use to achieve the incredibly ethereal look you desire. 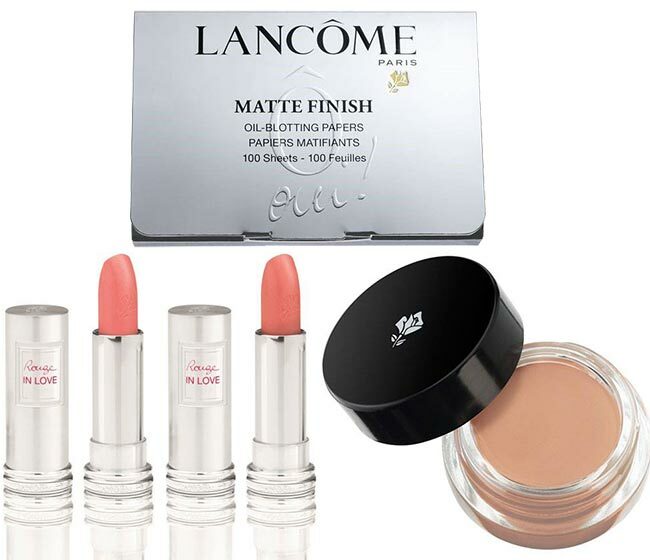 The Lancome Oui Bridal makeup collection for spring 2015 is a beautiful way to ensure that you have the simple but sweetly entrancing look of the princess you are as you walk down that aisle to meet the partner you hope to spend a lifetime with by your side, the romance forever brewing in the air surrounding your little family. This collection is all about simplicity and a radiance that can only be found emanating from a woman who dons that white dress and the demure veil before the one marrying her off, her skin fresh and clean, luminous from the inside out. 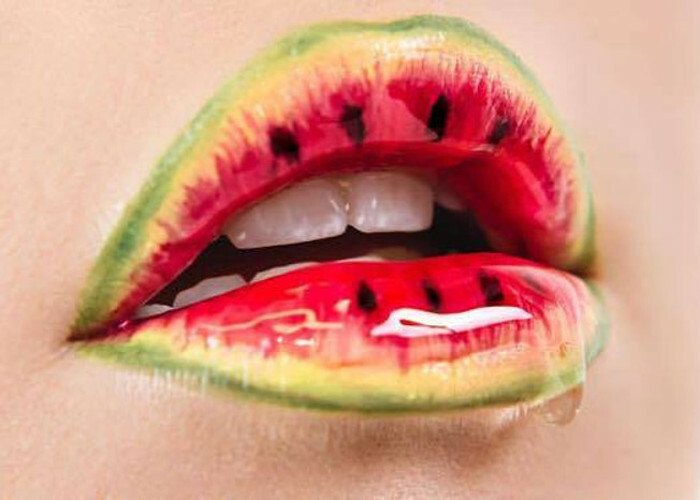 Lanc‚Äö√†√∂¬¨‚Ä¢me’s values state simplicity and beauty, creating a fundamental basis. New limited edition items are now available in the Lanc‚Äö√†√∂¬¨‚Ä¢me Wedding Collection, bringing with them pastel shades, as well as subtle nudes and a whole lot of pinks, matching with the latest spring/ summer 2015 makeup trends, perfect for a makeup application on a woman’s big day, possibly the biggest milestone in her lifetime. Of course, we can all wear these shades at any given point and need not be getting married in order to enjoy the brilliance of the final visage, looking as fresh as the spring flowers blooming around us. Plus, the Lancome Oui Bridal spring 2015 makeup collection also suggests going for something bolder on the honeymoon trip, skipping the girly shades for a violet one instead, also a big trend on the Fashion Week runways of late. The collection also caters to the woman’s needs for something more and different, adding pops of color here and there with more intense hues that are used in the lipsticks, nail polish and eyeshadow palettes. 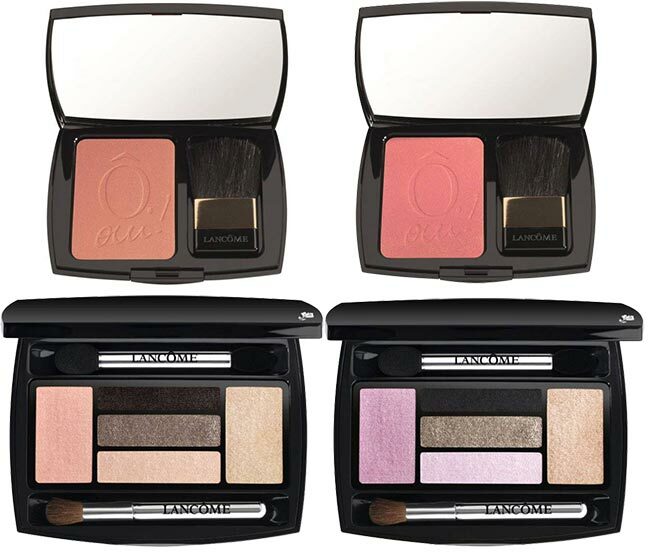 Gentle earth tones with a touch of pink in one of the two eyeshadow palettes mark the natural beauty of a woman. The compacts come with special brushes to make application even easier, while there are 5 distinct matching hues per pack. There are two different blush colors to add to the apples of your cheeks as well, with glass tops and their own brushes; the more pinkish color is most trending on the Fashion Week runways for the year. When we say pretty in pink, we are sure that these lip stains are what we have in mind. 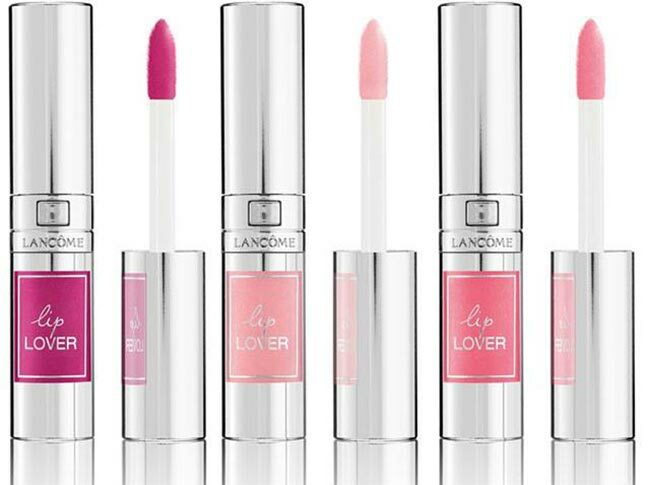 Lancome’s gorgeous pink colors in their pretty little tubes are exactly what every bride needs to apply to her lips. We love the two rouge hues that come in a light pink, almost coral coloring, like tender roses blooming in the spring. They are perfect for the gentle bride with a sweet disposition and eyes full of sparkle. Nail lacquers are as essential to the cosmetics department of a bride’s aesthetics as her mascara and eye shadow. They show off nails that sparkle with life, are lovely to behold and that simply complete any bridal package that a woman may invest in to make herself look the most beautiful she has ever been. 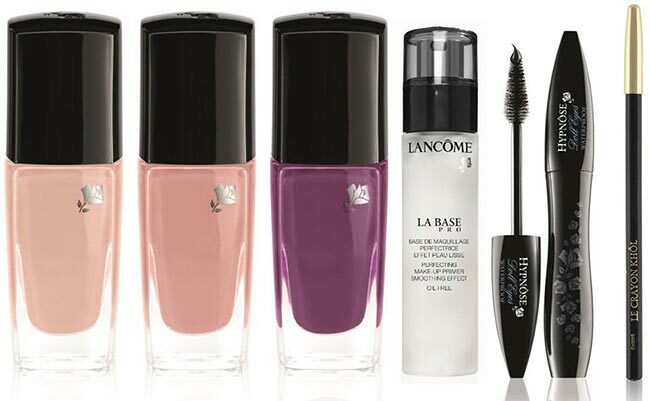 The three colors available in this Lanc‚Äö√†√∂¬¨‚Ä¢me collection include a light pink, a dustier version of it and a lilac purple tint which adds to the serenity of a spring makeup application. Don’t forget about a few coats of black mascara to boost the length of your eyelashes for a flirty eye makeup. This is the ultimate product you need for adding depth and drama to your bridal eye makeup look. To make sure you look fresh and radiant throughout your big day, make sure to carry Lancome’s blotting papers in your little purse.